Trans­porta­tion is one of the chal­lenges fam­i­lies face to get their chil­dren to after school pro­grams. With our loca­tion, here are sev­er­al options for fam­i­lies to con­sid­er. 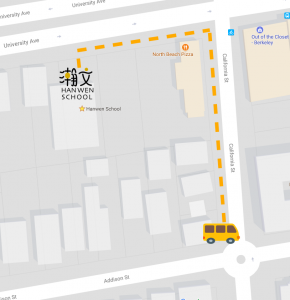 NOTE: the routes and sched­ule will be updat­ed in August for 2018–19 school year because some stu­dent dis­missal times are announced late. 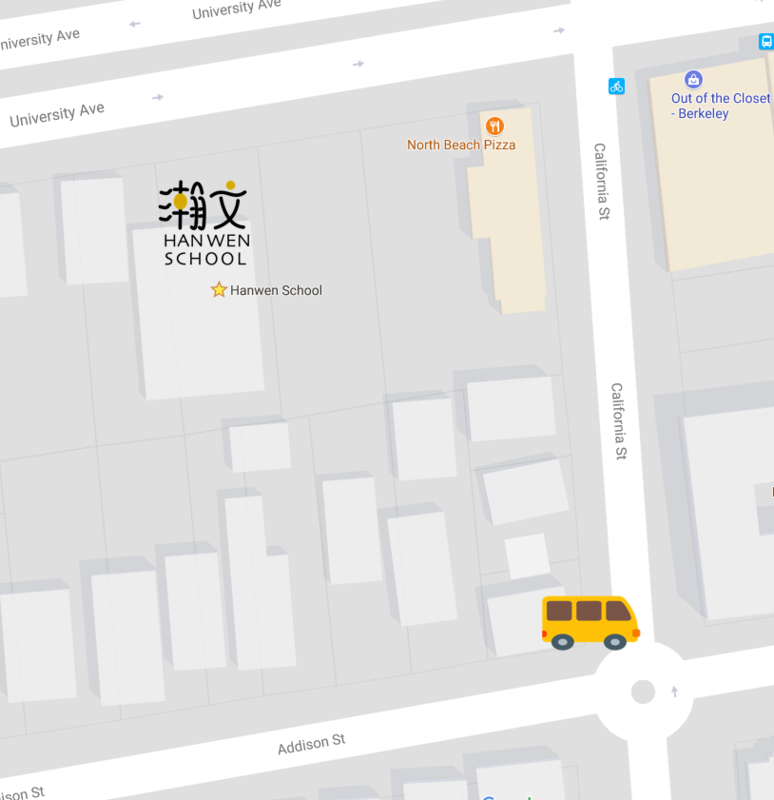 Berke­ley Uni­fied School Dis­trict has school bus­es that can drop-off chil­dren at a near­by bus stop where our staff will pick up your child and walk them back to our facil­i­ty. There is no cost for the Berke­ley school bus. Even if you live right next door to a CENTRAL ZONE school, BUSD can help trans­port your child to our after-school pro­gram. Click here to learn how to sign up for Berke­ley School Bus. 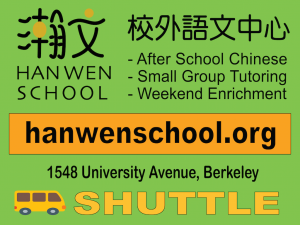 We can ask our stu­dents’ par­ents if they are inter­est­ed in car­pool­ing with oth­er fam­i­lies. 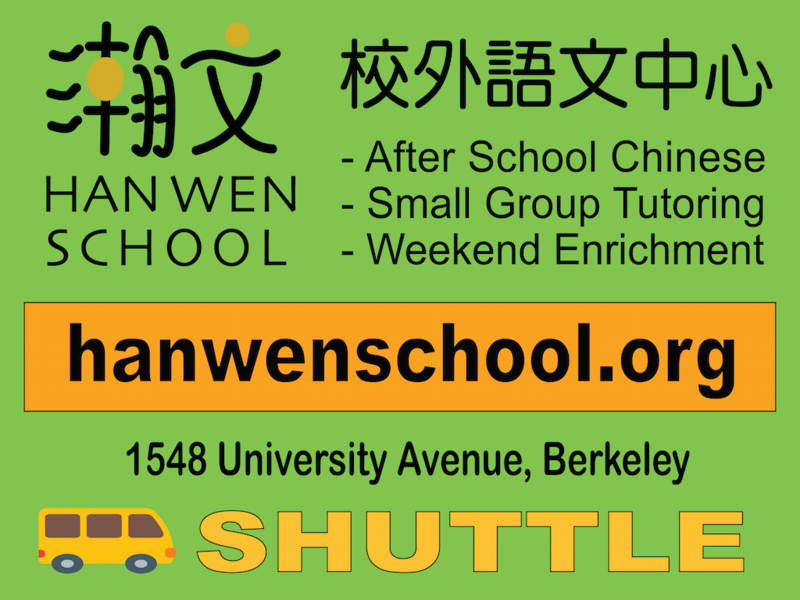 Please email us at info@hanwenschool.org to inquire. There are now rideshar­ing com­pa­nies like Uber and Lyft that pro­vide trans­porta­tion specif­i­cal­ly for chil­dren. These ser­vices insure your chil­dren are safe by requir­ing their dri­vers to be back­ground checked and have child­care expe­ri­ence to pro­vide a safe jour­ney for your child(ren) to var­i­ous des­ti­na­tions. Typ­i­cal­ly, these ser­vices cost about $15~20 per trip depend­ing on dis­tance dri­ven and pickup/wait times. Hav­ing mul­ti­ple chil­dren picked up from the same loca­tion helps reduce the cost per trip.